New York Times Best Selling Author "In Process"
Can't believe that I am ready to begin outlining my first book!!!!!! !This course provided a great overview of what is needed to get me started writing my first best seller. The Author's Kit is "heaven" sent and contains many resources to point you in the right direction. As a newbie to the book writing process, the resource list is going to help me move through the phases with easy. Thanks so much for putting together this amazing masterclass. Looking forward to keeping your abreast of my writing journey! I highly recommend this course to anyone who desires to jumpstart writing their book. Thank you for simplifying the process. Helped greatly. Thank you so much Shannon! I am already halfway in with my book and this course will help me to finally finish it! Thanks I am truly happy. Greetings! My name is Shannon Anderson, author, speaker, and certified life and business coach. When I first started writing my book I was confused, overwhelmed, and frustrated. I had a burning desire to finish the book I just had no idea of where or how to start. So, I began scouring the internet, reading articles, blogs, books, and whatever I could get my hands on. I even purchased classes and workshops along with expensive coaches and mentors. I finally finished and I felt amazing! Once I released my book I had so many people asking me how I was able to finish and inquiring about the process. At the end of my book writing journey (because it is a journey. :) ) I was overwhelmed with all of the different avenues that I had to take just to complete one book. The information was massive and daunting, If only there was a one stop shop that had all of the info and courses that I needed from writing to marketing, that would have saved me so much time and money. I then took on a few coaching clients then thought, there must be a way that I could teach this to the masses! Voila! , The Write And Publish Academy was born! I decided to build an academy that will have courses in every aspect of an author's journey and now here we are, Welcome! Looking to write a book but not sure where to start? Are you tired of going around in circles and getting frustrated with the whole process of writing your book? So was I! That is why I created the Write And Publish Now Course. Tips and tricks to get you over the hump and writing like a pro. Resources that WILL save you loads of TIME AND MONEY! Proven trick to creating an outline that will cut your writing time in half! Uncover the secret on how to write a book in half the time and half the effort! 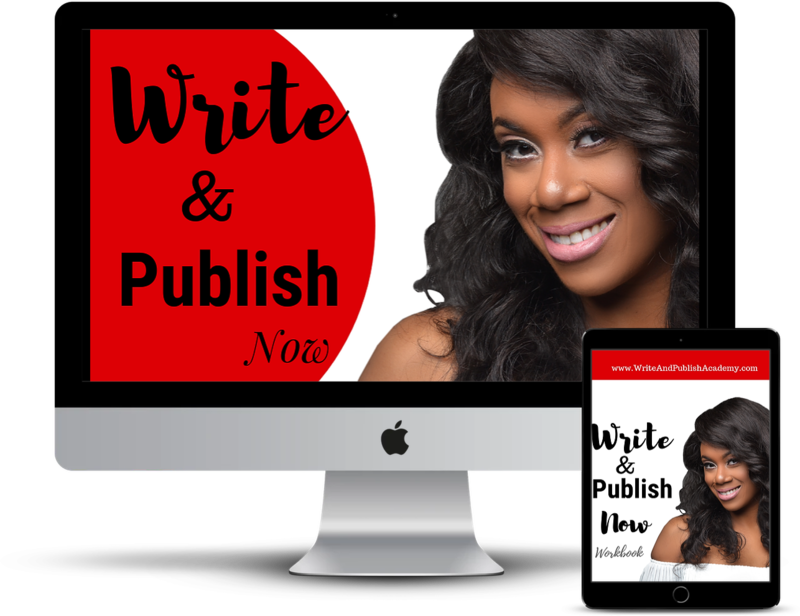 Learn how to get your book published in stores like Amazon, Barnes and Noble, iBooks and over 39,000 online retailers and book chains! Learn how to copyright and license your work to put in front of over 50,000 producers for potential movie deal, play, or other licenses! Sign up now and get 100.00 off for being one of the first to take this newly updated class. This class WILL NEVER be this price again!